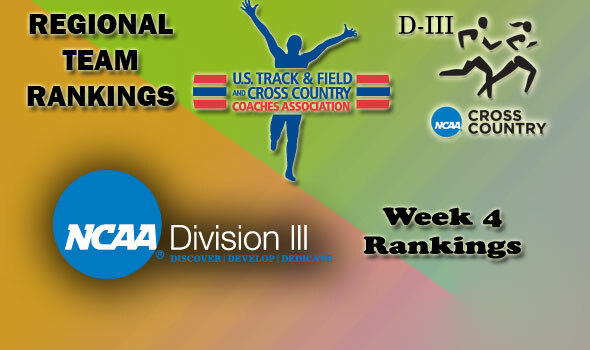 NEW ORLEANS – The U.S. Track & Field and Cross Country Coaches Association (USTFCCCA) released week four regional rankings for the NCAA Division III 2011 season on Tuesday. No new numbers ones were reported this week. WOMEN – John Carroll (Great Lakes), Albion (Great Lakes), Wilmington (Ohio) (Great Lakes), Salisbury (Mideast), Washington & Lee (South/Southeast). NCAA Division III Regional Championships will be held on Saturday, November 12. Championship sites.